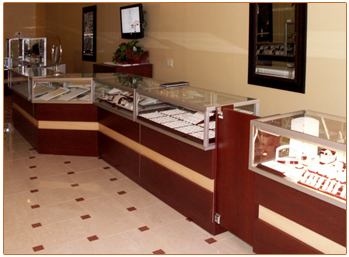 A jewelry showcase setup with inlay design. Note the double clip corner case on the left, great for many configurations. Inlays are a simple yet striking showcase design. Matching cherry toe kick keeps focus on the maple inlay.